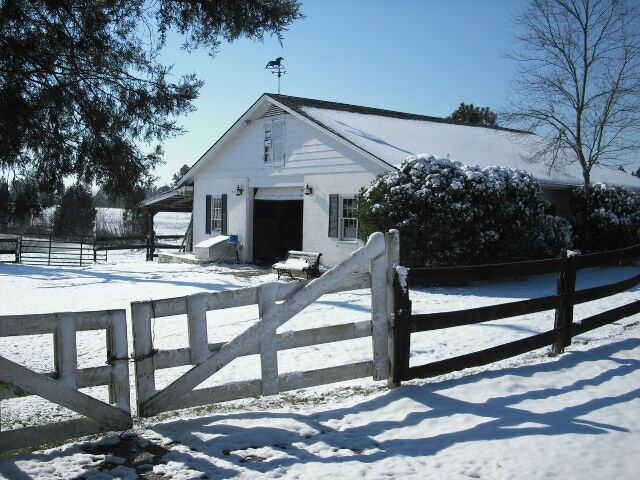 Apartment and horse barn available at Lahoya Farm. Quiet and secluded on private 100-acre horse farm. Quick access to Raleigh. Great opportunity for beginner trainer or instructor. Recently cleaned and repainted, apartment is 1&half; bedroom, 800 square feet. exposed beams, tile bath. Includes swimming privileges, fishing lake, ample parking, water included, one pet OK.
Barn has 4 stalls, tack and feed rooms, ring, paddock, small pasture. References, deposit, one year lease required.